Posts like these litter the internet. Some are great. Some are educational. But these posts are an AWFUL starting place. This the worst thing to focus on when you're not sure what to do next. Because they are tactics. Tactics for implementing a tool. But before you can apply tactics for one tool, you need to first know if your strategy includes using that tool, in that way. And before you can know if your strategy includes that tool, you need to know the bigger picture, your Mission. In other words, why the heck do you need more followers or likes? What are you going to DO with them? Starting with tactics is starting at the wrong end. It's ensuring that you don't go anywhere important, you just spin your wheels doing doing doing. Instead, start with the Mission. Then move onto the Strategy. And then, finally, figure out what tactics you need to learn to implement your strategy. Mission: This is the big WHY. Why are you doing what you're doing? Where do you want to go? What's your destination? You don't have to have a big fancy reason, it can just be: I want to make $2000/mo from my business. That's a mission. It could also be: I want to make a living from my art. Or, I want to share my art with the world. Or, I want to earn some money from home while my kids are growing up. My Mission: Help makers + artists feel awesome about sharing their work with the world in a sustainable (profitable) way while creating a sustainable life for myself + my family. Strategy: This is how you will enact the Mission. For example, if your mission is to make a living from your art, how are you going to sell it? Retail (Etsy shop, website?) or wholesale (through other shops)? Are you going to combine this? Or, if your mission is to share your art with the world, how are you going to do that? Maybe you graffitti walls, or donate your art to hospitals? My strategy is to first connect with makers via awesome content and encouragement for free: via weekly email lessons, blog posts, podcast episodes, and social media (especially Periscope and Instagram). This allows the people that my work is a good fit for to find me and feel comfortable taking the next step, where we apply lessons to their particular business via workbooks, classes, a supportive community, and live events. Tactics: This is the actual implementation of your strategy. What particular action are you going to do? How are you going to implement your strategy? This is where learning about social media tools, or blogging, or managing your time better comes in. So if you're feeling overwhelmed by all you “should” do, or confused about what the next best thing to do, you've probably been focusing on tactics. Tactics are what 99% of online business advice is about, because it's fun and shiny! 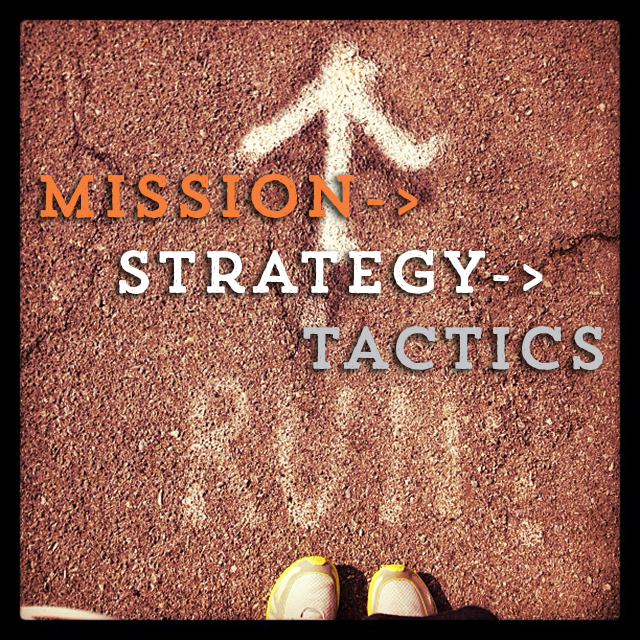 The Mission + Strategy portions are so personal, it's not easy to write a snappy blog post about them. Instead, discovering your Mission + Strategy takes time and introspection. This is why I've ensured it's the FIRST thing everyone does when they beam aboard my online community, the Starship. First, you do Chart Your Stars, which will guide you through identifying your Vision for your business and life and your Mission for the next year. Then, as a group, we do the Map Making process, to identify your Strategy for enacting your Mission over the next three months. I want everyone aboard to be clear: What are you going to work on? What are you going to do? And then you get access to my entire library of classes, some of which (like Craft Your Marketing) will help you identify your strategy and some (like Rock the Craft Show) will focus on your tactics. I don't want to talk about your tactics, until we both know what your mission and strategy is. Because when we do talk about tactics (which we do, in the forum and weekly chat! ), I want to be sure that we're helping you use the tactics in a way that will move your mission forward! In this way, you can avoid an overwhelming, never-ending list of stuff to do. You can stop focusing on followers and likes, and instead focus on what you need to know to reach your goal. And you can start crafting a business you really love. To get clear on your Mission and Strategy + to join a community of encouraging makers and artists, click here. Stop focusing on followers and likes, and instead focus on what you need to know to reach your goal. How about you? Do you know your Mission? What about your Strategy? How are they impacting your tactics? 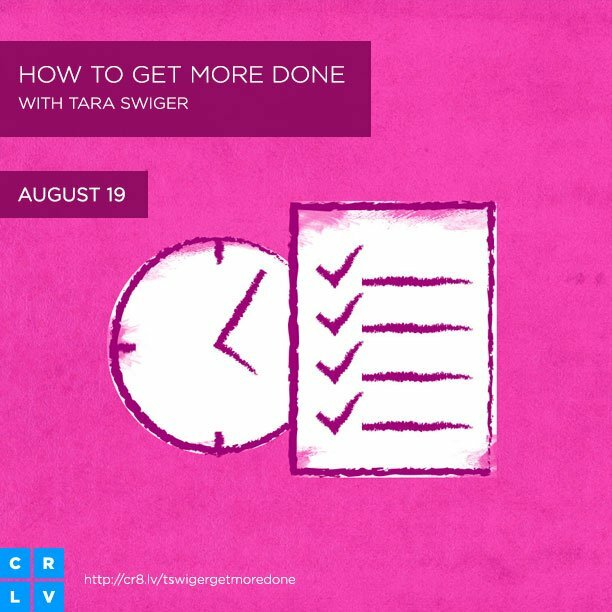 I'll be honest with you, ALL I can think about this week is “Getting More Done”, both the class I'm about to teach with CreativeLIVE AND the act of getting more done. 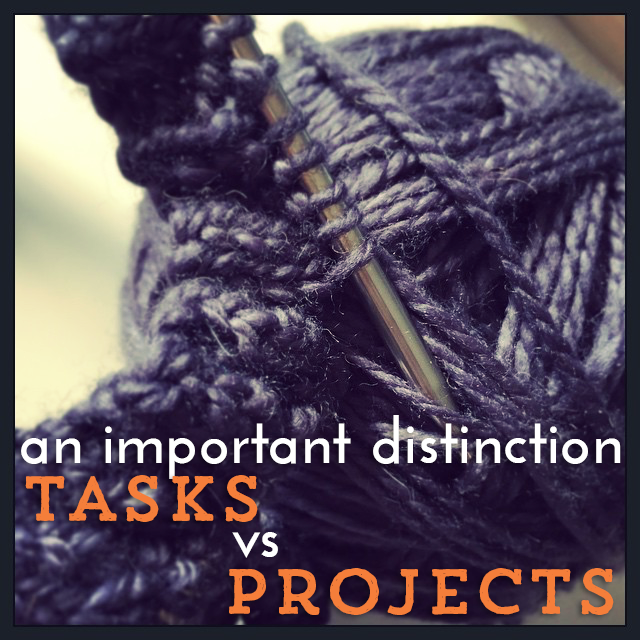 If you follow me on Periscope, then you know I've been asking you: What keeps you from getting more done? I've taken all the responses (and all the questions my readers have sent me for the past 5 years!) and put together a solution, that will work for YOU, whether you've got 30 minutes a week or 30 hours a week to work on your creative business. Along with the questions I’ll answer in the class (like “How do I balance admin time and studio time?,“ “How can I build my business with SUPER limited time?”, “How do I decide what's important and impactful for my business?“), I've also been asked some questions I'd like to answer NOW. Go here and click “RSVP”. You’ll get both the bonus Holiday Sales Calculator worksheet right away (along with bonuses from Tara Gentile, Abby Glassenberg, Lisa Jacobs, and Megan Auman), so you’ll be ready to start class Wednesday morning. At 9am PST (Noon EST) on Wednesday, August 19th, class will begin! You’ll get a reminder email to log on and when you do you’ll see me teaching, in real time! 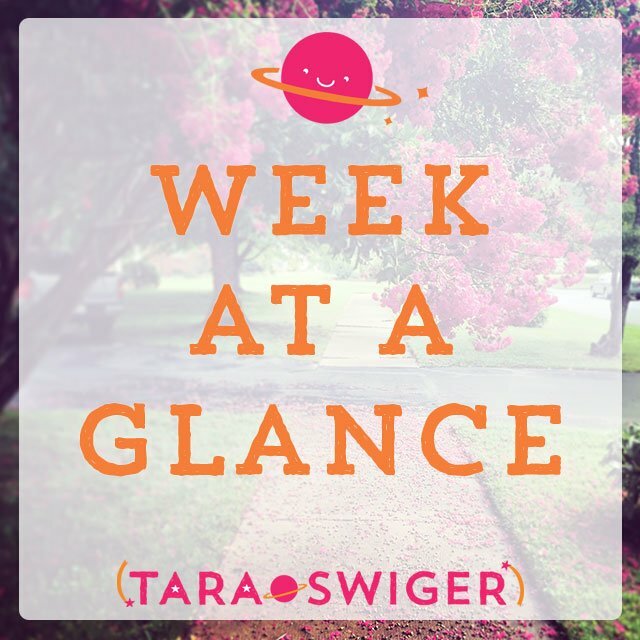 There’s a chat room for you to ask your questions (the hosts will be lobbing your questions at me on the regular) and a hashtag (#CraftWeek2015) so you can connect with your fellow students. Learn how to Get More Done and rock the holiday sales season – for FREE on @CreativeLIVE! What’s the schedule of the class? Note: Times are in PST! 9:00-10:30AM What do you NEED to get done? 10:45-12:00PM What's in your way? This class is aimed at makers who sell their work and want to get more (of what matters) DONE each day. You struggle to find time to work on your creative business. 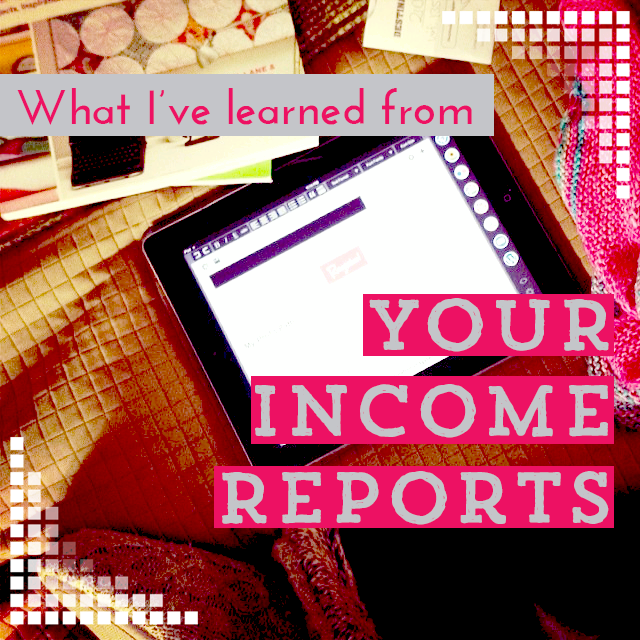 You’re frustrated with trying to balance all the aspects of your business: making, marketing and admin. You have a list of things you really want to do, but find yourself NOT doing them. What's up with the Holiday Sales Bootcamp? My class, Get More Done, is part of a weeklong series of classes aimed at making your crafty shop ROCK the holiday summer. On Monday, Tara Gentile will cover pricing and value. On Tuesday, Abby Glassenberg will teach you how to write and send an effective email newsletter. On Wednesday, I'll help you get more productive. On Friday, Megan Auman will walk you through putting together your marketing plan! By the end of it, you'll be ready to have a fantastic holiday season in your shop! What if I can’t watch live? Watching live is free, but you can purchase anytime access. You can get my class here for $79 (the price will go up after class, so jump on it!) or you can buy the entire 5 day bootcamp. Each Day’s page tells you what we’ll cover on that day, so you can pick the one that’s right for you. I’m bummed I missed the Wrangle Your Time class, where can I get it? Well, you’re in luck! While you can't take Wrangle Your Time as a stand-alone class (it is in the library of both the Starship and Lift Off) – it is ALL covered in this class! In fact, this class digs even deeper and gives more tips and software recommendation. I don’t have a business yet, I just have ideas. If you are still just “playing around” with “some ideas”, but you really REALLY want a business (and not a hobby) – step away from the internet. Stop taking classes, stop reading books, and stop looking at what other people are doing. Go into your creation cave and create your best work. Make 5-10 of them (whether this is products, designs, artwork, whatever). Ask yourself if you enjoy this enough to make 50 more. Then, take some pictures and make it available for sale (either online or in a craft show). THEN, you are ready to start thinking about becoming effective with your time. In other words, this class is going to be most useful to you if you know what you make and it’s available for people to buy, somewhere. If you’re not sure how to move from Idea to Business, check out Kari Chapin’s class on getting started. Periscope is a live-video streaming app. Even if YOU have no desire in sharing live videos, you can join (just download the app!) and follow me, so you get notified of any of my live videos. There's a chat room, so you're not just watching, you're also talking to me! Periscopes only stay online for 24 hours, so if you miss watching live, you miss it! Ask on Twitter (I'm @taraswiger) or Facebook and I’ll answer (in between traveling). Hope to see you in the class! 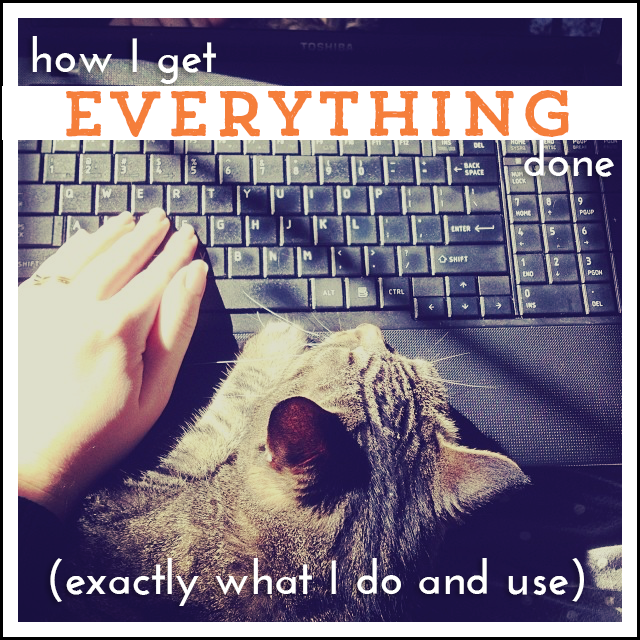 At the beginning of the year, I wrote a massive post about how I got things done, which quickly became the second most popular post of the year (this is the most popular post). But a lot has changed during the last year. I got a new planner, I tried new apps, I hired another team member, (more about how to do that in last week's podcast!) and started using project management software. In preparation of my class on putting together your own system for Getting More Done, I wanted to share an update to my own system, along with alllllll the gory details of what I use and why. I'm going to break this up the same way we'll build your own system – by looking at the three parts vital to a system. Setting aside a specific time to work. Keeping track of what you need to do. Now, before you dive in, please remember that my business is probably really different from yours. YOU need to build your own system, one that works for your business and your life. I'm going to help you do that in this class. I work M-F (never on the weekends.) When I'm not working, I try not to even check my email, unless we're in the middle of the Starship launch and I know I'll be getting time-sensitive questions. On Monday, Wednesday and Friday, I usually work from the coffee shop, from around 10am-4pm. If I get started late, I work later. On Fridays, I often stop a bit early (2pm or so) and go start my weekend. These days are my time for writing – these weekly blog posts, guest posts, podcast episodes, new classes, magazine articles, a new book – and replying to emails and the Starship forums. On Wednesday at 2p, we have the weekly Starship chat. On Tuesday and Thursday, I usually work from home, so that I can do all the things I need quiet for – client sessions, podcast recording, class recording, interviews. I usually work from around 11am – 5pm (which is when Jay's out of the house, working at the comic shop). I used to try to start earlier…but we've got a tiny apartment, and I can't really get away from him, so I just enjoy our morning together. I let these days feel slightly less work-y – I stay in my PJs, I tend to put only 2-3 things on my list: hour-long client sessions on the phone wipe me out, and if I have 2 sessions…that's all the thinking I have in me for the day; recording podcasts (and broadcasting and answering follow-up questions on Periscope) takes around 2-3 hours. As you can see, I don't work 40 hours a week. I've learned, through 6 years of self-employment, that I don't have 8 hours a day of uninterrupted focus in me (I don't know anyone who does – in most office jobs you spend a chunk of the day talking to your coworkers, futzing about online, and walking around getting more coffee. Or was that just me?). But here's the important factor: When I'm working, I'm working. I don't open my personal Facebook. I don't scroll through Instagram. I absolutely don't visit Pinterest or Amazon or play any games. This is my time for work, and I might get distracted replying to a customer email, or researching something, but I try to limit myself to truly work. In that way, my non-work time is 100% NOT work. I play games, read blogs, and endlessly scroll through Instagram and Pinterest in that not-working time. If I find myself incredibly distracted and I haven't gotten my 3 Most Important Things done for the day…I change something. I either stand up and walk around, change locations or just stop working for the day. There's no point in forcing myself to sit at the computer if I'm not getting work done. All of the working time in the world doesn't matter if you don't know what you're spending that time on! I keep track of things a few different ways. But new projects are just a tiny slice of what we do week in and week out. Most of what the team does repeats weekly or quarterly. So we have Asana projects that repeat! Jess edits the blog post and pastes the MP3 link into the player software. She schedules (using CoSchedule) the social media posts about it, using what I've written. That was actually more complicated for me to write out than it is in Asana. We figured out the steps, put them in Asana, and now everyone's tasks repeat each week on the same day. Repeating tasks cover 90% of what the team works on: podcasts, blog posts, the quarterly Starship boarding, regular review, editing and updating content regularly. I am responsible for setting the direction we’re going, conceiving and planning new projects, and writing and creating everything with my name on it. Jess serves as Project Manager for most projects, as she's the final editor and scheduler..so if any piece is missing, she checks in with the appropriate person. Jay’s the producer – he makes the graphics consistent, PDFs pretty, and the audio/video edited. Each Monday, before I start work, I open up my planner (I use Elise's Get To Workbook) and write down everything I need and want to get done this week. I'll look at Asana and add anything from there. I split it up by project, so I understand all the pieces of each product that need be done THIS week. Yes, most of it is in Asana, but I like having it organized in front of me, in my handwriting, so that I don't have to keep going online to check. The writing process also helps me remember anything I might have forgotten and really embeds this week's priorities in my head. All the working time in the world doesn't matter if you don't know what you're spending it on! Once I have it all done, it's simple to figure out what to do each day. At the beginning of every work session, I write down everything I wanna do during that session, and then I pick out the 3 Most Important Things. I start FIRST on these things, then work on the other stuff. Yes, I am writing down each task a few times (it's in Asana, it's in my weekly list, it's in that day’s list)..but I'm not going for efficiency but effectiveness. The more I write it down, the more important I've made it, and the more likely I am to do it on the appropriate day or week. When I talk to my students about their to do list, the biggest complaint I hear is that they don't get it done because they never look at it. I've set up my system so I'm looking at the most relevant part of my list (what I need to do NEXT) every day. The other part is actually getting it done, and my system for just buckling down and working changes with the day. As I mentioned above, I'm sure to only be working when I work (no TV going, no podcast listening, no for-fun internet browsing) and when I'm done working I STOP (even if it's far before my usual quitting time, if I get finished with that days' tasks, I stop work!). Close all tabs and turn off all notifications. I have 99% of the notifications on my phone turned off, but if I'm really distracted, I put it in airplane mode and close ANY open tab. Get up and walk around, get water or coffee and stretch. This is like a reset button and it's the quickest way of interrupting a not-productive use of time. Start a pomodoro timer and commit to working on a MIT until it rings. If I'm working on something really stressful or I'm having a bad day, I promise myself that if I do at least ONE pomodoro session, I'm allowed to be done for the day. I usually get in the flow and don't want to stop then, but if I'm not, I stop and close up for the day. It's important not to try to trick myself, or else I'll never believe it next time, and I'll start taking breaks in my workday. And that's it! That's how I get stuff done, from the project-planning down to the every-day habits that keep me productive! If you want to focus on only the work that matters in YOUR business, my FREE weekly planning sheet will help you do just that! Sign up below to download it! 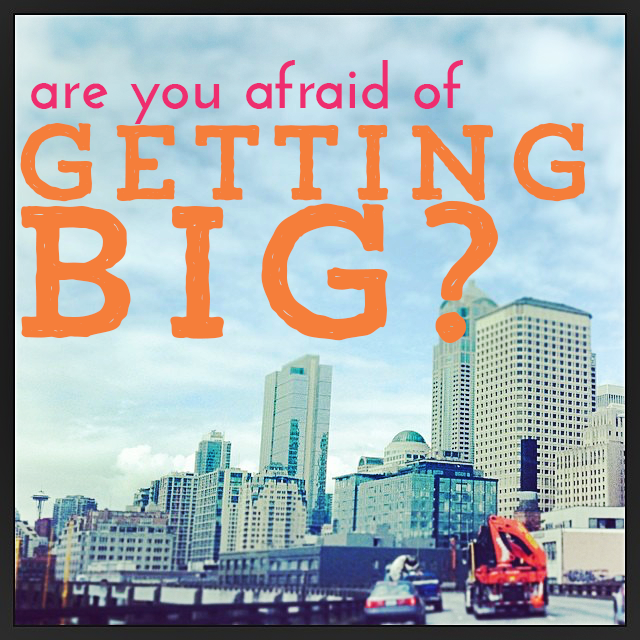 Are you afraid of being “big”? The past couple weeks on the podcast I've been talking about issues that come up when you've been in business for a while and you've started to grow: boundaries and scaling challenges. This is stuff that my students are dealing with, as they grow beyond the “how to get any sales” questions. But I hesitate to talk about these “advanced” business issues, because I don't want to scare you off, if you're not there yet. I hear from younger businesses all the time, who get tangled up trying to solve these issues before they need to. They're worried about boundaries and how many people they'll have to deal with when they “get big.” They worry about scaling up their production, before they sell one thing. They're worried about getting help before they need it. Are you afraid of what will happen when you get bigger? Do you stop yourself from taking opportunities or pursuing possibilities because you're not sure how it'll all work? Do you hesitate to dive deeper into marketing, because you worry it'll work TOO well? Don't borrow problems you don't have. Don't worry about what will happen if you “someday” get big. It's not preparing you. It's not making you ready. It's getting in your way. When you start to worry about all that could go wrong if your business grew, you're going to hesitate to put in the hard work on growth activities. You're going to step back from challenging yourself with new goals. And then you're going to wonder why it never worked out, why you never grew. I really really really do. I worried a lot (I still do!) about what would happen when my business grew. I worried that I was going to owe way too much in taxes. I worried that my thing could grow so big that people would have weird expectations of who I am and what I do. I worried that I would get mean comments or emails. I worried that I would have to set boundaries and tell people no. I worried that I would make bad decisions, let people down, or totally ruin my life. And sure enough, I have experienced all of the above (except the ruined life bit. Haven’t done that). And I survived. In fact, it wasn’t nearly as bad once I got there. Because you really really want a business, more than you want to live in fear. You want to create something from your passion + smarts + hard work. You want to build something that is your own. You want freedom, creativity, or fun. Whatever your reasons are, they are driving you to do this (sometimes scary) thing. Your business makes you stronger. In order to keep building and growing, you'll have to face your fears. You'll have to grow past them. You'll have to dig deep and learn that you are more powerful than you thought. In order to keep building and growing, you'll have to face your fears. You'll have to dig deep. All this growth and fear-wrangling, it makes you stronger everywhere – in business, in life, in relationships. You'll learn skills (like time management and boundary-setting) that you can apply to anything you do. So don't worry about the challenges your business is going to bring. You don't have to solve all future possibilities right now. Don't be afraid of growing. Don't hold yourself back. *If you can't seem to stop worrying about future challenges, look at what you're afraid of and acknowledge it. Don't run from the fears, look at them and work through them. Look at each one and ask: where did it come from? Forgive this situation and send it (or the past you that experienced it) lots of love. Look for ways to make yourself feel safe (without crushing your ambition). This is an ongoing process, but the more you make it part of the work of growing your business, the less the fears will be able to sneakily sideline you. 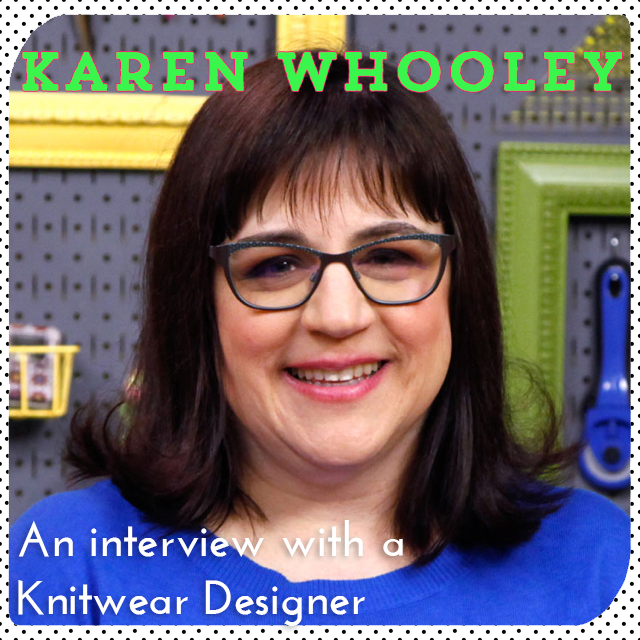 Today I'm happy to share the adventures of Starship Captain Karen Whooley. 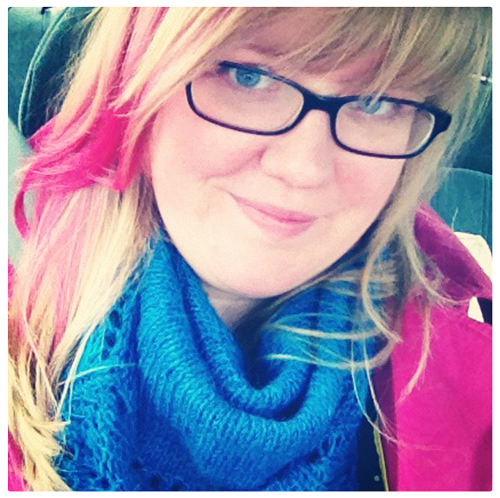 Karen is a nationally recognized crochet and knit designer, author and instructor from the Pacific Northwest. She wears many other hats, too, including Wife of 25 years, Mom of two teens, Bon Jovi Fan, NFL Football Fanatic, Gym Rat and Italian Cook. You can find Karen on her website, Twitter, and Instagram. For me every day is a little different really. And only because being a full time maker allows me to set my own hours around my family and other commitments like church life, and teaching. I am the mom of an 18 year old HS senior and a 16 year old HS junior, so they are pretty self sufficient now. And it helps a lot that my husband works from home full time too so we can tag team if needed for the kids. 1:30-4PM: More work, usually crochet/knit or swatching, but many times still writing up patterns or book reviews, too. 4-4:30PM: Last check on email. 4:30-7:00PM: spend time with family and make dinner. 7-10PM: If no evening activities at church or school, I am watching TV with family, usually working on a personal project at the same time. Unless I am under a tight deadline, then I am working. By 9-9:30PM though I am usually reading a bit in bed. I have to be in bed sleeping by 10PM so I can start all over the next day! When I learned to crochet in 1974 (I was 7 years old) my Nonna told me that she had given me a skill and that I needed to do something with it. My mom always tells me that becoming a designer and author wasn't quite what she meant! But that IS what I did with it! In 1998 I started as a crochet designer when I sold my very first pattern to a magazine. In 2000 I started teaching classes locally at a fabric and craft store and by 2004 I was teaching on the national circuit. 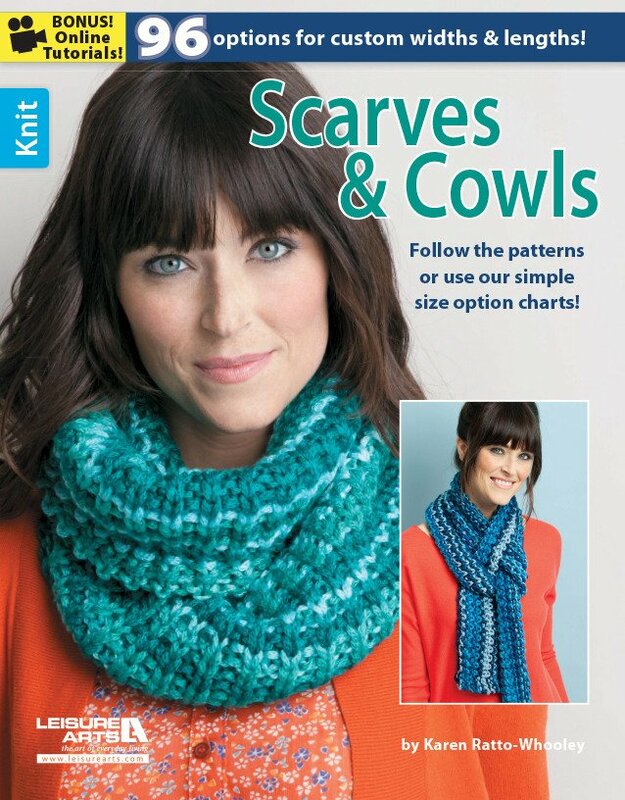 In 2007 I learned to knit and started designing knit patterns in 2010. In 1998 I started as a crochet designer when I sold my very first pattern to a magazine. Karen with her Nonna, who taught her to crochet when she was a child. In 1998 when I started, my kids were 2 years old and 6 months old. I had to work from nap time to nap time during the day. I would produce about 5-6 patterns a year for magazines, and I started my own pattern line from rejected patterns. Now I produce countless patterns a year (for example in 2013, I completed 4 books, 2 of which had 96 patterns total each), both for myself and for other publishers. I have 24 paid stitchers who help me get all the models made every year. At the beginning, I would teach only night time classes so my husband, who worked out of the home at that time, could be with the kids. That was my get-out-of-the-house-and-be-with-adults time! As they got older I started to travel to events to teach. I started with just once a year when my husband could take vacation in the summer, to now going as many as 5-6 times a year. I also started teaching online through Craftsy and can reach far more people now, which is amazing in and of itself. I will still teach local classes from time to time, but they are more of a special appearance now. Right now, my focus is to get back to my roots again. My dream when I started was to be my own business as a designer / author / instructor. Designing for magazines and other publishers was to get me the experience, but now I really want to be more me, with a few books and designs done elsewhere. So I am exploring making more maps (goal setting) that put me on track every quarter to get what I need to do accomplished. I am also exploring how to “Wrangle My Time” with Tara and creating my marketing plan. All of this is focusing on getting back to my roots and finding what actually works for me. One of Karen's books, filled with 96 patterns! Success to me in my own business is to create patterns, books and classes that *I* love that also meet the needs, wants and desires of my customers and clients. It is not losing sight of what my goals for my business are, and to promote the crafts I love in a way that makes others love them, too! Right now, I am working toward getting a few more things off my plate and I am working on developing some systems to streamline what I do as far as designing, publishing, blogging, etc. so that I can finally sit down and develop the next self published book I have had in my head for more than 2 years now! Getting that book out into the world is my next step to regain my goal of being my own publisher again. Last week we took a look back at the year so far and I shared my Quarterly Review worksheet. Now it's time to look forward: What do you want to do in the third quarter of the year? What do you want with the last half of 2015? In the Starship and Lift Off, we're Map Making this week – picking a destination, mapping out the steps, and distilling it all down to the actual actions we need to take. I don't just lead others in Quarterly Reviewing and Map Making, I do it myself! It took me just about an hour, in a day full of other things. So why'd I spend the time? 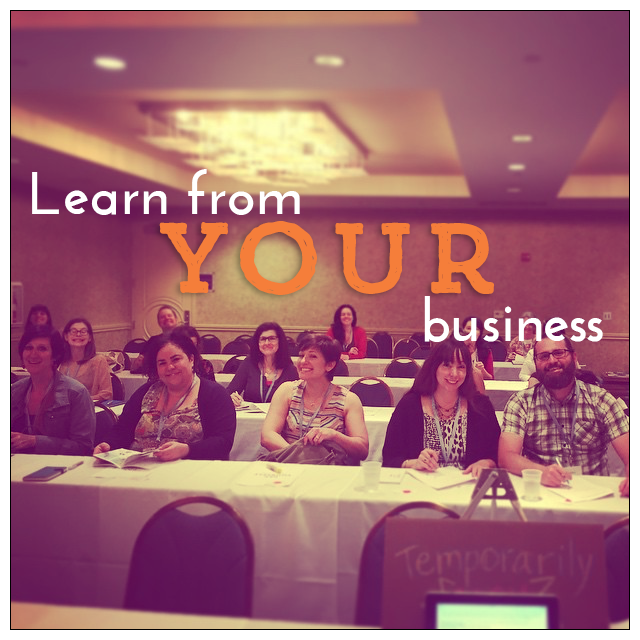 Because you can't learn from your business unless you pay attention to it. And you can't keep going, without stopping to celebrate what you've got done and the goals you met (more about the importance of celebration in my conversations with Claudine + Sasha). You can't learn from your business unless you pay attention to it. There are a million decisions you have to (get to!) make in your business every day. From how you'll spend your time, to what social network you'll use, to how you'll reply to the customer making an unreasonable request. And then there are thousands examples of what others have done. There are hundreds of classes and books (I even sell a few!). There are dozens of people who are willing to tell you EXACTLY what you SHOULD do. But none of it works. Not unless it fits you, your business, your goals, and your personality. Not unless it helps you make a business you're going to love. So how do you know what to do? How do you make those decisions? You experiment. You try things. And then you pay attention to what works. What worked for YOU. You learn from your own business. You do something. And then you review: Did that work? Is that getting me closer to my business? or not? Your mission, should you choose to accept it, is to build exactly the business you want AND to become an expert in you and your business. Because, sure, you can learn a lot about what worked for other people, but you won't be able to answer your own questions and lead a life you love, until you become an expert in what works for you, your customers, and your products. So that’s why I took an hour to write up a report on what went well, what I learned, and what I’m aiming to do in the next quarter. Why don’t you try it? *In case you don't know, my team = Jess, my Number One + Jay, my husband and producer. Jess edited this email so it's free of typos and Tara-isms (where I write/say one word, but mean an entirely different word). She's the one you get when you fill out the Contact form (however, if you hit reply to this email, you talk directly to me!). Jay makes the podcast transcripts all pretty (and is re-designing every worksheet for every class) and edits every audio and video lesson and interview, so it's not as rambly as I actually am. Also on my team: Beauregard, Head of Security (that bark!) and Raylan, Vice President of Snackage. Oh, and me, CCEO – Chief Creatrix + Exploring Obsessive. The Starship is now boarding! You can read all about it here, but I wanted to give you a bit of a backstage pass into why the Starship is built the way it is. The Starship only opens once a quarter*, in order to make sure everyone gets started from the same place (and to ensure that I have time to get to know everyone and their business). *To keep it small + personal (so you can connect, collaborate and befriend each other) only 12 new Captains will beam up this quarter (to join the 70 who are already aboard). After that, boarding closes until October! The Starship is a place for weekly accountability, monthly review and anytime-you-want-it question-asking…but I’ve learned over the last 5 years (!) that it’s not enough to have resources, you have to know where and how you want to use them. Unless you start with a plan and intention, all the resources can overwhelm you. It's not enough to have resources, you have to know where + how you want to use them. Over the years, I’ve built in plan-making, intention-setting rituals + resources, into the schedule of the Starship, so that you will use it to grow and improve your business. 1. Get oriented in the Starship. 2. Get oriented in your own business. It’s vital to know where your business is, right now. (Not just where you want it to be, or where you think it “should” be). You'll do this by Charting Your Stars. You'll take a week-long course that helps you find your North Star, make your own Star Map for navigating your dreams, and set Destinations that actually matter to you. This is the first step to ensuring you move forward, in the direction you really want to go (and it's exclusive to the Starship and Lift Off). 3. Make each dream do-able. On July 6th, the entire Starship makes a Map, using this guide. With a 6 day e-course and a dedicated forum, you’ll identify your next Destination (for the next 3 months) and break it down into do-able To Dos. This is where everything you dream about doing becomes practical. If you've never set and reached a goal in your business, this process will change your life. 4. Learn how you best work. After you’ve got your do-able To Dos … you actually have to do them. Through forum posts and weekly check-ins you’ll identify how you best get work done, and we’ll help un-stick you when you get stuck. 5. Learn what you don't know. Every month we look back and review your adventure so far in a super-quick Reassessment Log. You can see where you swerved and what you learned. We’re there to cheer on every mile marker you reach! You don’t need another thing to remember. Have you ever bought an online class and then didn’t know what to do or how to navigate the space or what happened when? I hate that! So I’ve built the entire process to come to you easily + simply. That’s why Starship Captains don’t have to remember ANY of this. Everything I mentioned just comes to you. You don’t have to remember to check a website, or log in, or anything. Every Wednesday I send an email with a mini-lesson, reminders about what we’re doing (the Map Making, the classes), and an invitation to the weekly chat. So if you take a week (or month!) away, you have a chance to jump back in, every week. Every quarter we add something new to the Starship, based on member's suggestions. Last quarter I created my most-thorough marketing class (Craft Your Marketing, which you'll only find in the Library!) and Wrangle Your Time. Accountability Partners – want someone to check in with you via email, phone, video, Twitter or something else? You tell us your preferences and we'll hand-match you to an accountability partner. Every worksheet, video, and audio lesson has been newly edited! This means a more seamless experience for you! A brand-new option: Warp Drive! If you want one-on-ones with me, you can get that with a Warp Drive Starship membership. And if you don't need them, there's now an option without the one-on-ones. Read all the details here, then send me an email (tara@taraswiger.com) if you've got any questions! PS. 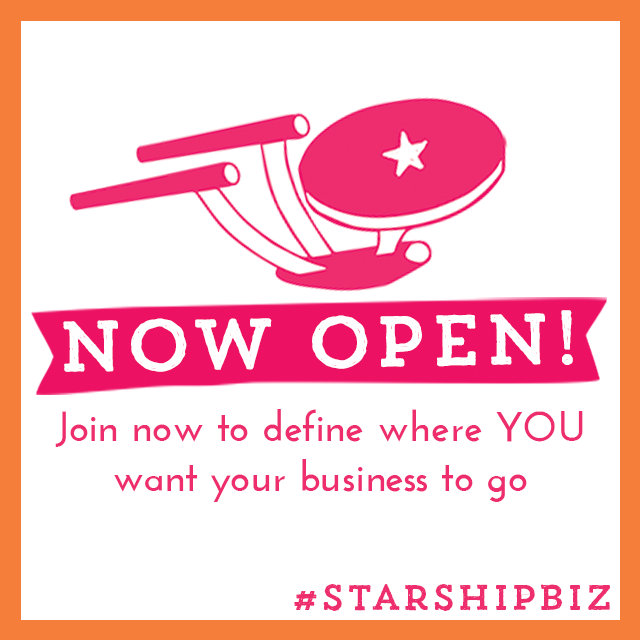 Every class, workbook, and Guide I’ve mentioned comes FREE with your Starship membership. You’ll get access to absolutely everything I do (including exclusive access to one-on-one sessions). 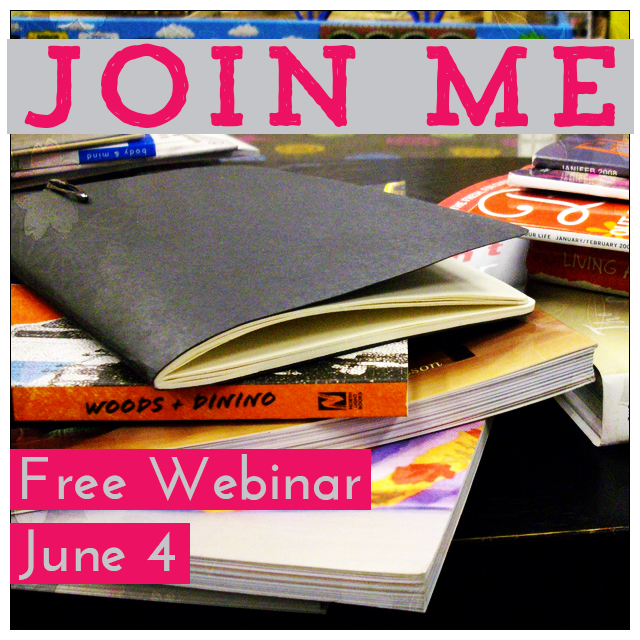 This Thursday, at 1pm (EDT), I'm going to do something brand new: I'm holding a live webinar (online video class)…for free! Usually these online workshops start at $99, but this one is entirely free. Edited: All done! Sign up here to find out about upcoming webinars! How to build the foundations of your business, no matter how new (or old!) it is. You see, I talk to creatives every day who are just completely overwhelmed. They don't know if they should do X or Y. They don't know where to spend their time and energy. They don't know what will make a difference. And this breaks my heart. Because I know what leads to growth in a small business: Focused, consistent action. But you can't take focused consistent action until you decide what action to take, and then really commit your focus to it. But if you're overwhelmed and unsure, you're hesitant to really commit to one action. So you do a whole bunch of stuff, all over the place, and then feel frustrated that you don't see results from anything.